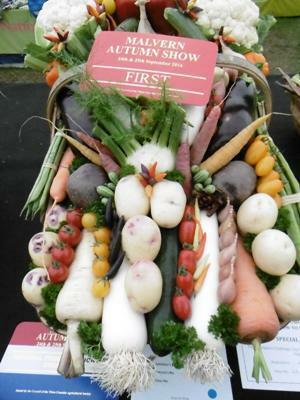 From growing giant vegetables to discovering the best way to cook garden produce, the 2017 Malvern Autumn Show is the perfect way to mark the harvest season. The event, in partnership with Westons Cider Visitors Centre, is at Malvern's Three Counties Showground on September 23 and 24. More than 65,000 people are expected to flock to the show over the two days. 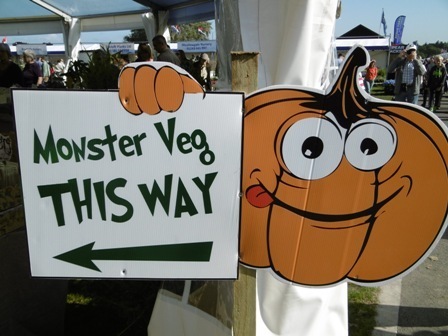 One of the big attractions – in more ways than one – is the CANNA UK National Giant Vegetables Championship. 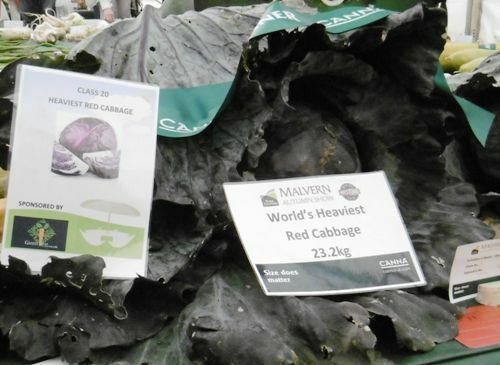 The championship is held at the Autumn Show every year and in 2016 four world records were achieved, including heaviest red cabbage (pictured below) and longest beetroot. This year sees the addition of two new categories, the heaviest chilli and the longest chilli. Headlining the show's Food and Drink Pavilion is the charismatic Great British Menu host, Andi Oliver, alongside laid-back Great British Baker, Selasi Gbormittah. He'll be sharing top tips on how to avoid soggy bottoms and ensure every creation is a showstopper. Show favourite, award winning author and grower Mark Diacono, returns to host the Cookery Theatre which features the Raymond Blanc Cookery School and local chefs and food producers. Topping the horticultural line-up for 2017 is BBC Gardeners' World stalwart Carol Klein who'll be sharing her encyclopaedic knowledge with showgoers alongside garden writer and fellow presenter Alys Fowler. 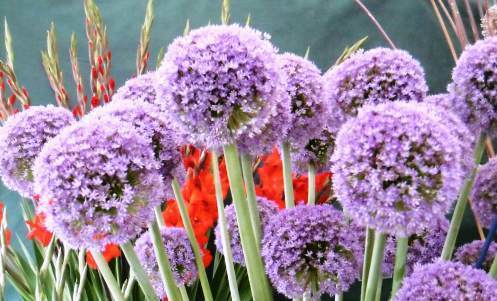 Celebrity florist, Jonathan Moseley will be championing British flowers and floristry with interactive workshops and demonstrations and the last RHS Flower Show of the season features over 40 specialist nurseries. There's a buzz about another new attraction, the Power of Pollinators, which will take visitors on an investigative journey looking at bees, bumblebees, butterflies and other important pollinators and how they can be supported in gardens and the wild. Head of Show, Diana Walton says: "We decided to create this new exhibit because as a harvest show we depend on pollinators for the produce that we celebrate and showcase. More and more we are hearing startling statistics about the plight of pollinators and how vital they are to our survival. We felt that it was time that we explored the bigger picture and we are aiming to both educate and inspire showgoers to take any small action that could help future-proof our resources." 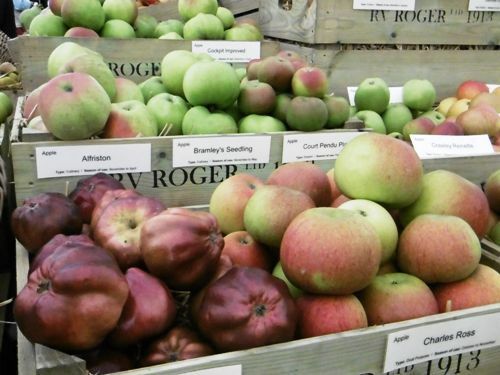 ★ The Orchard Pavilion with a new vine section featuring producers from the surrounding three counties, a Festival of Perry and the Apple and Pear Show (pictured above). 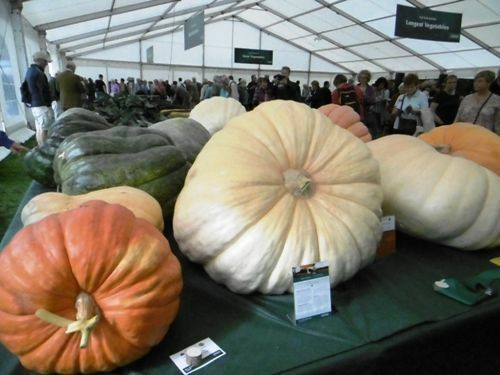 ★ One of the UK's largest Harvest Pavilions which hosts 30 National Plant Societies, including the National Vegetable Society staging their National Championships (pictured below), and the Grow to Show section which boasts over 1,500 entries this year. ★ Judith Hann, former Tomorrow's World presenter and President of the Herb Society, introducing her latest book, Herbs: Delicious Recipes and Growing Tips to Transform Your Food. ★ Family Green activities including the Junk Ball Run, circus and garden games and Treehouse Tales. ★ The World of Animals, sponsored by Bredon School, with animals of all shapes and sizes, including rabbits, guinea pigs and poultry as well as the return of the Young Pig of the Year Competition. 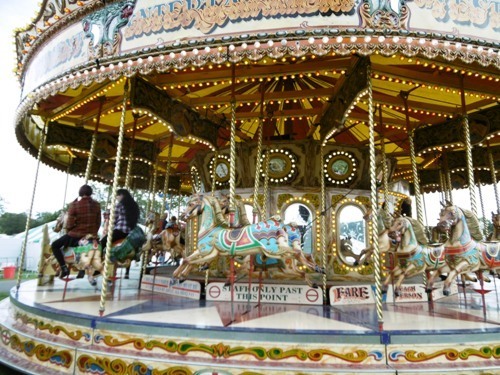 ★All the fun of the fair at the Old Tyme Fairground, in the Vintage Village, with rides datings from the 1900s. Take a turn on the Ferris Wheel, Helter Skelter or the Carousel (below).